Discover your inner tartan, where an original Scottish experience awaits. Explore Scottish-themed festivals. Marvel in the excitement of a pipe band parade. 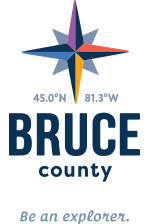 Kincardine’s historic downtown, with its unique shops and restaurants will ignite your curiosity and your taste buds. After a delightful respite, stroll alongside the mighty Lake Huron … you just might hear phantom pipers play. The essence of the Scots is yours to explore in Kincardine.